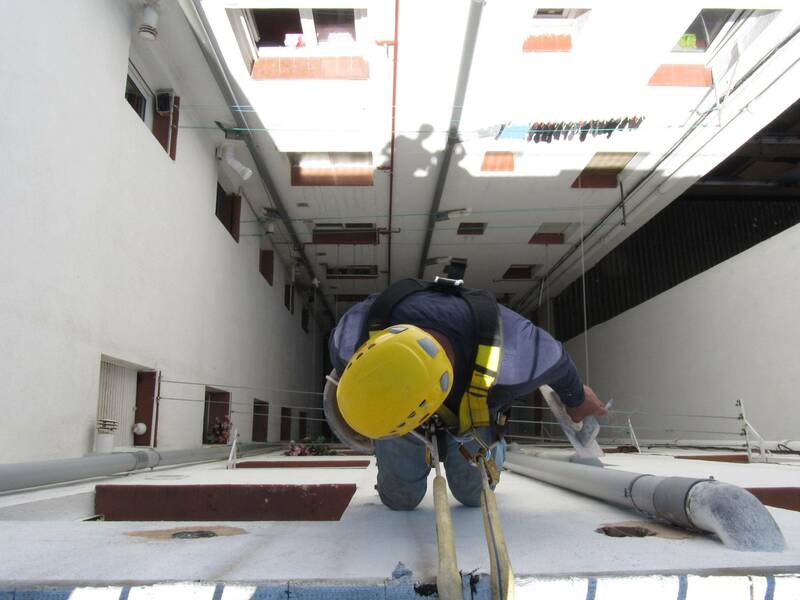 Restoration of interior patio of a 1976 building in Madrid needed to pass the Technical Building Inspection (TBI) since the building is more than 30 years old. b.- Budget for the building work. c.- Execution of Projects and Management. d.- Application for building permit. e.- Execution of the works. f.- Guarantee of the works.